If traveling to Florida or California is not an option for you, don’t despair. 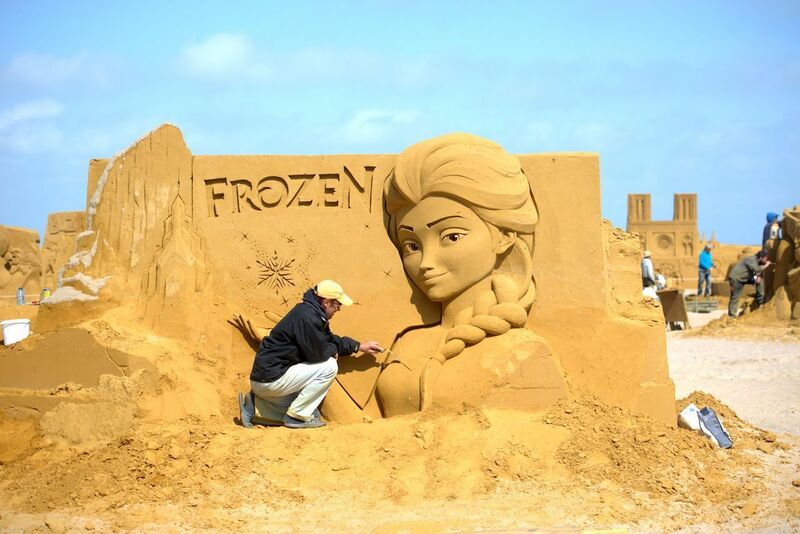 This summer, you’ll be able to see your favorite Disney characters and landmarks in Belgium in the form of incredible sand sculptures. 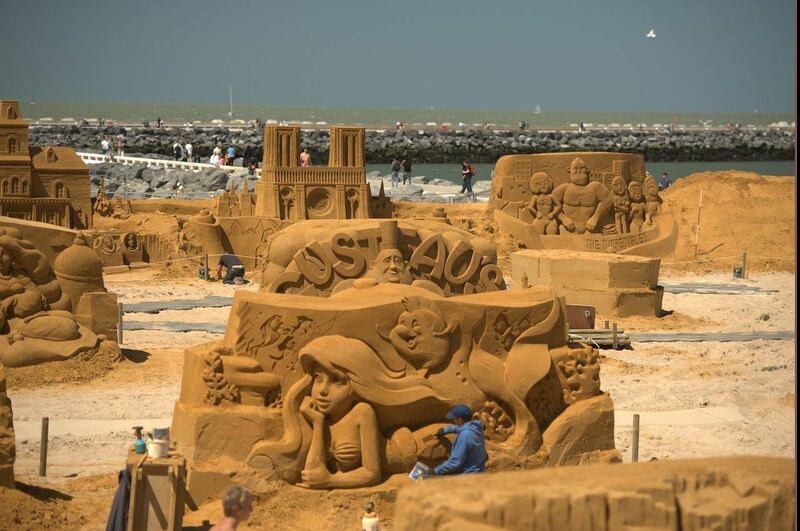 On the Grande Plage beach in Ostend, Belgium, artists from around the world are creating a fantasy world inspired by characters from Disney, Pixar, Marvel, and Star Wars stories. 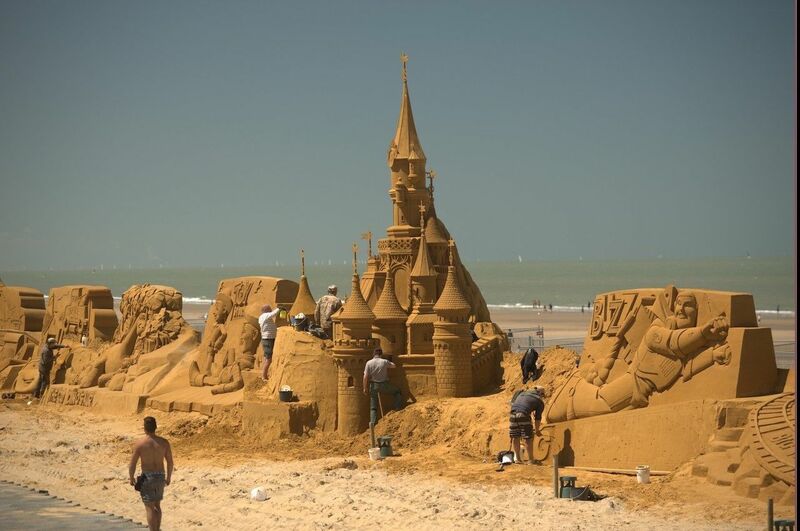 Over 240 trucks hauled a hefty supply of special sand for the Sand Magic Festival, recognized by the Guinness Book of Records as the biggest festival of its kind. 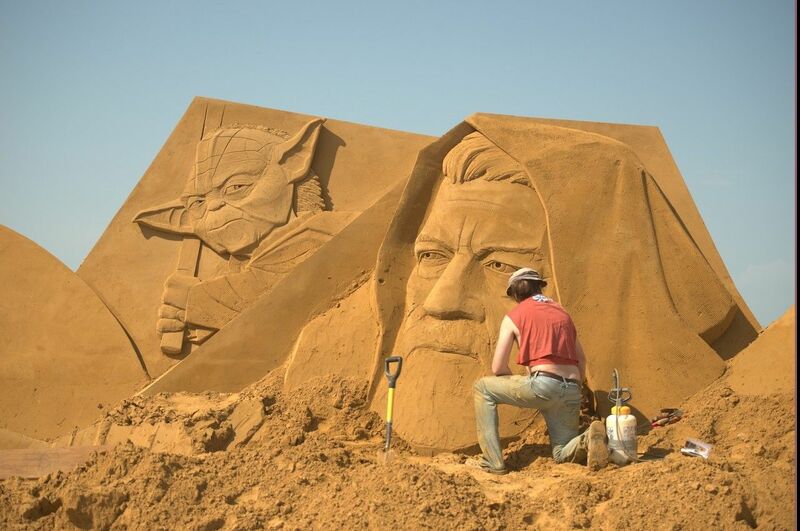 Forty artists worked tirelessly over the course of a month to create these impressive sand sculptures. In all, 150 sculptures were made, ranging from two to six meters in height. Among the popular sculptures are Daffy Duck, Yoda, Bruce, and the great white shark from Finding Nemo. The Sand Magic Festival opened on June 23 and will run until September 30, so there’s plenty of time to catch your favorite Disney sand characters. It remains to be seen, however, how wind and rain will affect the displays, so it may be safer to visit sooner rather than later.